Data mining techniques can be used for discovering interesting patterns in complicated manufacturing processes. These patterns are used to improve manufacturing quality. Classical representations of quality data mining problems usually refer to the operations settings and not to their sequence. 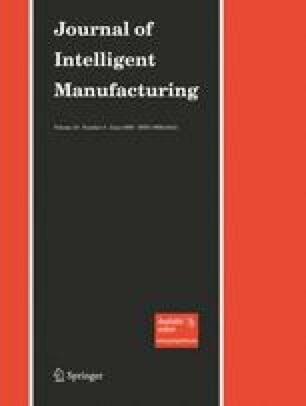 This paper examines the effect of the operation sequence on the quality of the product using data mining techniques. For this purpose a novel decision tree framework for extracting sequence patterns is developed. The proposed method is capable to mine sequence patterns of any length with operations that are not necessarily immediate precedents. The core induction algorithmic framework consists of four main steps. In the first step, all manufacturing sequences are represented as string of tokens. In the second step a large set of regular expression-based patterns are induced by employing a sequence patterns. In the third step we use feature selection methods to filter out the initial set, and leave only the most useful patterns. In the last stage, we transform the quality problem into a classification problem and employ a decision tree induction algorithm. A comparative study performed on benchmark databases illustrates the capabilities of the proposed framework. GNU Diff (2003). Retrieved October 31, 2006 from http://www.bmsi.com/java/#diff.